The study of martial arts improves hand-eye coordination, gross motor skill and the ability to perform compound movements. 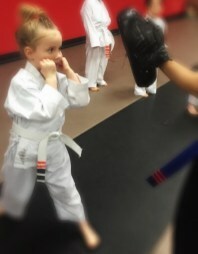 These children are taught simple martial arts techniques in a dynamic and disciplined environment. Stretching and physical fitness modules are an integral part of this program to develop positive lifelong habits at an early age. Intangible life-skills are taught in our program. Words like confidence, discipline and focus are woven into the fabric of every class. This program is a beginner class taught at an exciting, dynamic pace. The modules of this class focus on proper body mechanics, physical fitness and self-defense. 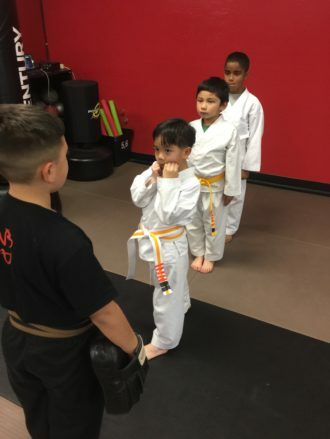 It is designed to give children an adequate chance to see if martial arts is something they want to pursue long-term and give them all the tools necessary to do so.